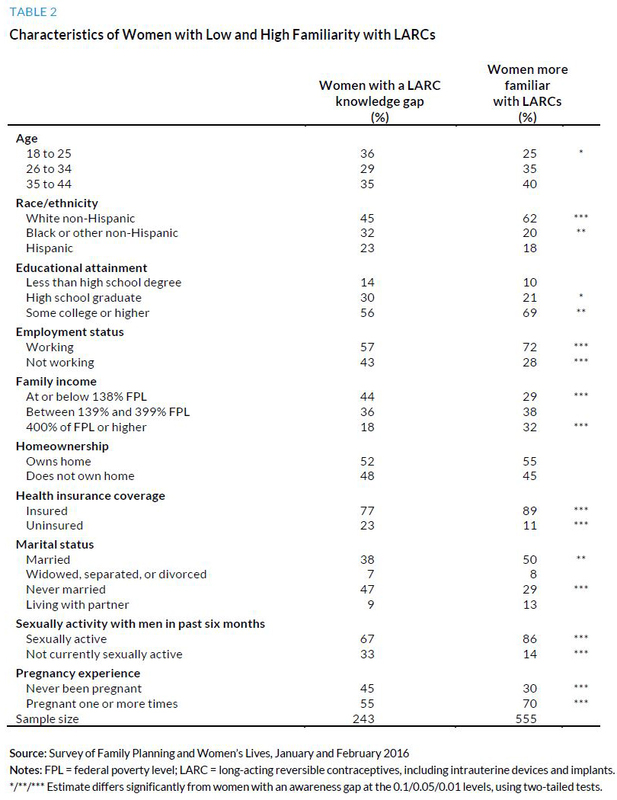 Women’s use of long-acting reversible contraceptive (LARC) methods has increased, but current, nationally representative information is limited on women’s awareness and perceptions of birth control methods that inform efforts to further increase take-up of effective forms of birth control. 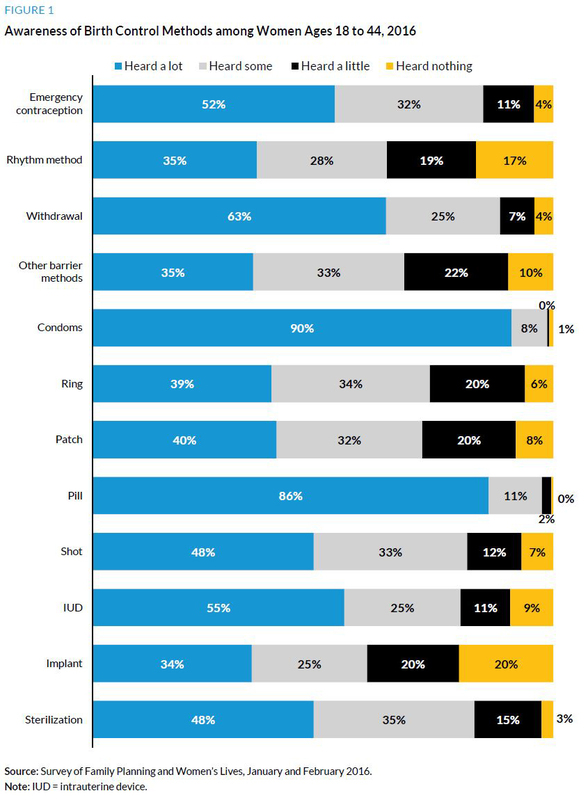 This brief uses 2016 data to explore women’s familiarity with various birth control methods, particularly LARCs, and how women of reproductive age view the safety and effectiveness of each method. 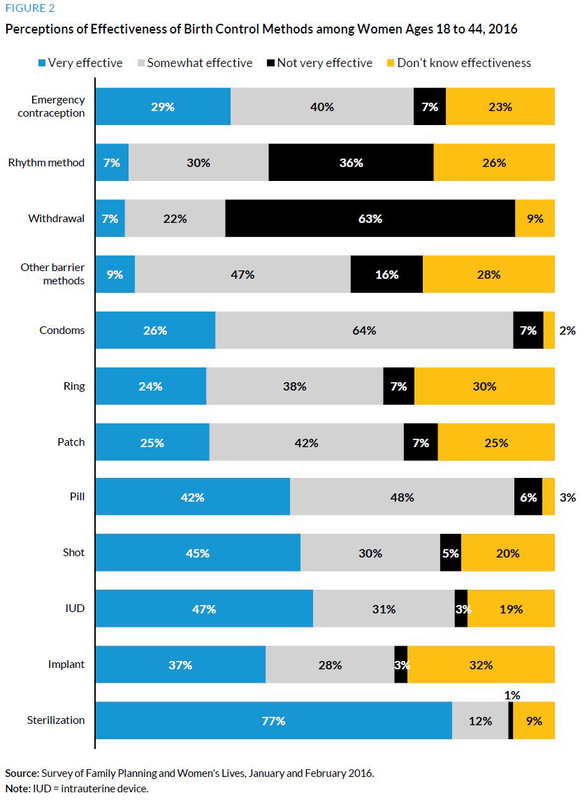 Women of reproductive age were most familiar with birth control pills and condoms; only 31 percent had heard a lot about two more-effective methods: intrauterine devices and implants.